Be the first to share your favorite memory, photo or story of Cody. This memorial page is dedicated for family, friends and future generations to celebrate the life of their loved one. Cody Pleas, 25, passed away unexpectedly January 17, 2019. Cody was born October 4, 1993 in Billings, Montana. He graduated from Skyview High School in 2012. Cody attended college at MSU in Bozeman graduating in December or 2018 with a Bachelor of Science in Health Enhancement K-12. Cody was an avid outdoorsman, who was at home on the Montana rivers, fishing, backpacking in the mountains, snowboarding, camping, boating, hunting and enjoying what mother nature had to offer. He recently completed his student teaching at Sandstone Elementary and Skyview High School in Billings. Cody grew up playing baseball, hockey and golf. While living in Bozeman, Cody worked at Bridger Creek Golf Course and was also an instructor for the Nike Golf Junior Camps. Before student teaching, Cody moved back home to Billings and worked at Pryor Creek Golf Course with his brother-in-law, David. The two of them enjoyed putting on youth camps. He loved to spend time on the golf course with his friends and family. Cody was an incredible son, brother, brother-in-law, nephew, friend and a special “Unkey” to his little niece, Hayden. He was a caring, compassionate, gentle and kind person who we all looked up to and admired. Cody is survived by his parents, Vicki and Kelly Pleas; sister, Holly (David) Ness and niece, Hayden Ness, all of Billings; his Granny, Lynda Pleas of Missoula; and many aunts, uncles, cousins and many friends. Cody was preceded in death by his maternal grandparents, Bill and Marie Harris and his paternal grandparents, Avonelle and Hap Pleas. Cody’s funeral will be held Friday, January 25, 2019 at 10:00 at Atonement Lutheran Church with interment at Sunset Memorial Cemetery following the service. 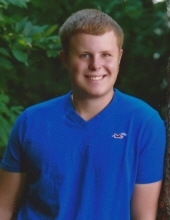 Memorials may be made to Atonement Lutheran Church in memory of Cody. To send flowers or a remembrance gift to the family of Cody Pleas, please visit our Tribute Store. "Email Address" would like to share the life celebration of Cody Pleas. Click on the "link" to go to share a favorite memory or leave a condolence message for the family.